The company has acquired an enviable position in the domestic and international markets as a Manufacturer, Exporter and Supplier of Oil Extractors based in Faridabad. 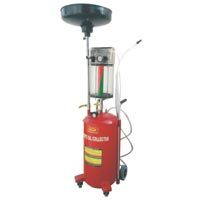 The Oil Extractors, offered by the company, are available in various forms and the range comprises of Electric Oil Extractors and Pneumatic Oil Extractors. The Oil Extractors are widely appreciated by the clients for their unsurpassed quality and unmatched performance. The company caters to the demand of Oil Extractors from numerous industrial sectors with remarkable efficiency.